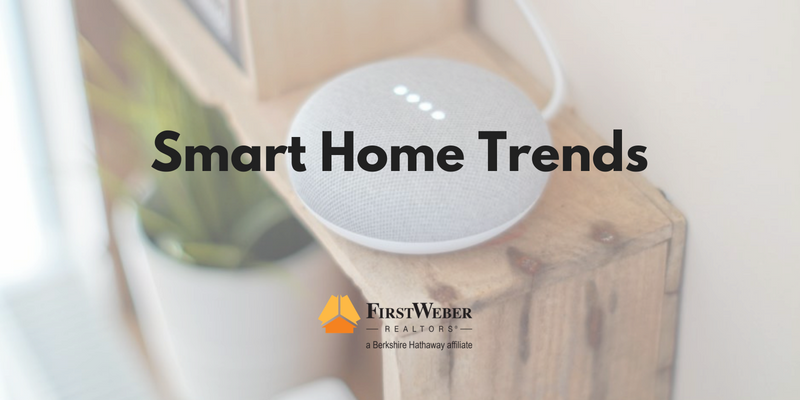 Homes are getting “smarter.” From greater connectivity across all technology platforms and devices to complete automation and AI, consumers are finding more and more options to utilize Smart Home devices and products than ever before. Beyond a novelty, home owners are seeking new and innovated products to provide greater security and ease-of-use at home and on the road. • Products are more accessible as the average price point continues to drop. • Voice control is the future. From turning lights on and off to answering the door from your office, audible controls and access is more responsive and simpler to use. • Kitchens and baths are joining the fun. Manufacturers’ offer self-cleaning toilets and refrigerators who can read their own contents and populate a shopping list on your phone app. • Greater demands for scheduled automation. Alexa for instance offers a “wake up routine” which can turn on lights, heating/air conditioning, start the coffee and provide a quick news update, all with one command.